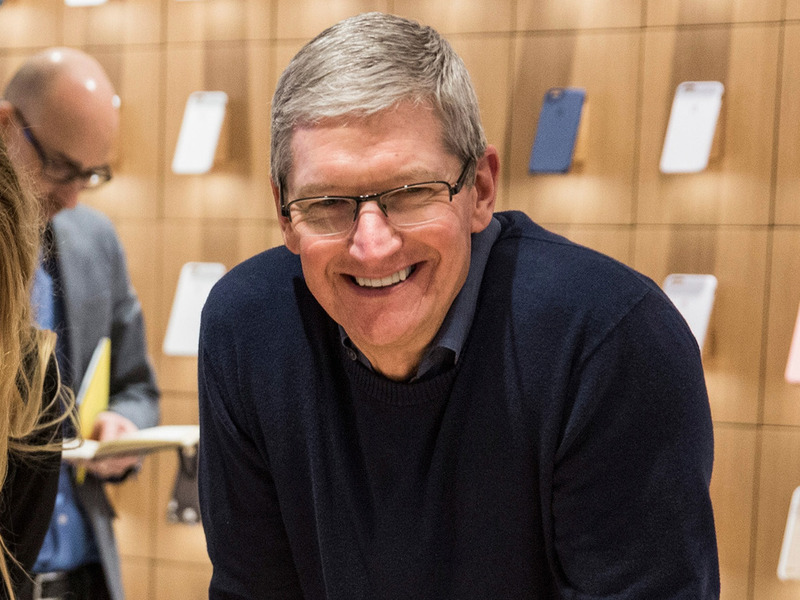 Getty/Andrew BurtonApple CEO Tim Cook has been bullish on augmented reality. A company that sells parts to Apple said Tuesday it’s starting to manufacture parts for an augmented-reality headset. The company’s chairman previously broke the news that this year’s iPhones would have glass cases. One of Apple’s key suppliers is developing parts for augmented-reality devices, its chairman told investors and reporters on Tuesday. Allen Horng, who heads Catcher Technology, which makes and assembles the iPhone 8’s metal frame and glass case, didn’t specify the company for which Catcher is building the augmented-reality (AR) parts or what those parts are. But thanks to Catcher’s close relationship with Apple, his comments are sure to stoke speculation about the iPhone maker’s AR plans. “Based on what we have learned, [new AR products] need to look good and be light enough to wear … that makes the casings for such device very complicated to manufacture, and there are still a lot of challenges to overcome currently,” Horng said, according to Nikkei Asian Review. AR is the catch-all term for technology that uses displays, cameras, and other sensors to layer virtual images onto views of the real world. Apple has a team working on AR glasses and other products, but is unlikely to launch any of those products for years. AR is frequently lumped together with virtual reality, which typically relies on headsets to completely immerse users in a computer-generated world. AR devices are more likely to be successful than VR headsets because they can be mobile, Horng said, according to Asian Review. Assuming Horng’s comments refer to work it’s doing for Apple, this wouldn’t be the first time he has disclosed information the famously secretive electronics maker has tried to keep close to the vest. In May 2016, he let slip that one of this year’s iPhones would have a glass case. His comments came 16 months before Apple unveiled the glass-encased iPhone 8, iPhone 8 Plus, and iPhone X. His comment to shareholders last year wasn’t completely accurate. Hong said only one iPhone model would have a glass case; as it turned out, all three new models have glass backs. Apple’s only publicly released AR product to date is a set of software tools for developers that allows them to incorporate AR features into their apps. But the company hasn’t been shy about trumpeting its ambitions for the technology. Some industry observers believe that AR eyewear — whether headsets, smart glasses, or even special contacts — could eventually replace smartphones and other computer screens. “We’re not the first people talking about AR. Nor was it our objective to be. We wanted something well thought out that we could integrate into the platform and unleash a lot of developers to do some really cool stuff with it. We’ve got a great initial start there,” Apple CEO Tim Cook said in an interview this summer.